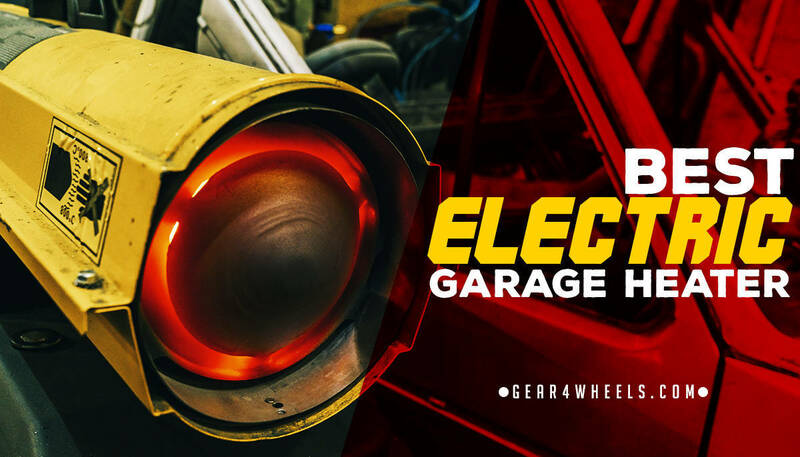 Today, we are going to take a look at the five best electric garage heaters on the market to help you find the perfect choice for your needs and budget. From some low-consumption and low price point units like the Dr. Heater 966 to some industrial-level units that are what you'll need if you have a big badass garage. The Fahrenheat Ceiling-Mount garage heater is an incredibly powerful and effective unit for keeping your workspace warm in cooler months. Material: The cabinet has an epoxy coating finish to protect the materials on the unit from corroding. The cabinet has an epoxy coating finish to it, so that it is incredibly resistant to corrosion and wear. It has 7,500 watts of power, which is plenty enough to heat and maintain your standard two car garage. This is some serious power draw however so maybe you want to do some back-of-the-envelope math using this tool to estimate how expensive it'll be to use. This model gives you thermostat control which features an automatic shut-off when your garage reaches the desired temperature, and will automatically kick back on when the temperature starts to change. That way you can maintain your desired temp. Accurate thermostat and temperature sensitivity for maintaining the desired temp. This model of electric heater is built entirely in the United States and has a built in thermostat that lets you easily control the temperature of your garage. Heater power : up to 600 square feet. Thermostat Control: The thermostat on this model of heater let’s you easily choose the temperature that you want to keep your garage at. You can use the thermostat dial to select the temperature by the degree. Ease of installation: Comes with a universal wall/ceiling mounting bracket that makes it easy to install. This is great for using in your residential garage, and it also works for commercial use as well. What you will really enjoy about this model is that the built in thermostat has degrees labeled on the dial, so that you can precisely dial in the temperature to exactly where you want it. Custom thermostat control that lets you pick the exact temperature that you want to heat your garage to. This powerful and compact heater is great for garages, workshops, basements and outside buildings. Material: This model is made from durable steel and has a beige finish to it. Thermostat Control: This heater has a low to high thermostat dial that lets you easily choose the temperature that you want to set to. Ease of installation: The horizontal/vertical adjustable brackets make it really easy to install this unit. This a heavy-duty and rugged industrial heater that is built to heat cool spaces with ease. It provides 5,000 watts of power, and has a built-in ceiling/wall bracket that you can easily use to mount your electric heater horizontally or vertically. This heater has adjustable louvers that pushes direct heat to the desired area. Here's a great video on how to install it like a pro! This portable space heater by Cadet is perfect for moving around to exactly where you need it, when you need to move it. Material: This is a durable steel portable heater with cool red finish. Thermostat Control: The thermostat on this model doesn’t provide a lot of specificity, but it does give you the choice of a high or low setting that lets you adjust the heater based on the temperature of your garage. Ease of installation: This unit is really easy to install to your wall, or you can keep it unmounted so that you can take it around with you. This is a small unit that is perfect for use in shops and garages, and is best used directly in the space that you are occupying. It provides 4,000 watts of heating power to keep you warm. The nice aspect of this heater is that it provides plenty of versatility. You can either keep it portable and not mount it so you can take it with you anywhere, or you can mount it to give it a more permanent location. This heater is a heavy-duty 240 volt, single phase, 3,000/6,000 watt commercial electric unit. Material: This model is made of high quality steel for durability and support, and finished with a grey epoxy for added protection. Thermostat Control: The thermostat control on this electric garage heater doesn’t give you precise control over the temperature, but does give you the choice to select either high or low heat. Ease of installation: The brackets make this model really easy to install on either your wall or ceiling. For the amount of power that it provides, this is actually one of the most compact models that we are looking at today. This unit comes hardwired, but a power cord is not included with your purchase unfortunately. The brackets on this unit allow you to easily mount it to either the wall or the ceiling. It uses an adjustable thermostat to control the heat output, and 5 louvers to control the direction of the heat. Does not have a specific thermostat, so you have to play the guessing game with the temperature. Out of all the choices that we have presented today, we could most highly recommend the Fahrenheat FUH724 as the best electric garage heater in this review. A few of the biggest reasons that we like this model the most is that it has an adjustable thermostat, tons of power, and an automatic shut-off function to keep your garage or workspace balanced at the perfect temperature.